View Sisira's extended research profile. Dr. Sisira Colombage is a senior lecturer in finance. He held the position of Discipline Head from June 2014 to December 2015, Accounting & Finance, Economics and Law, and HDR Coordinator, School of Business, Gippsland. 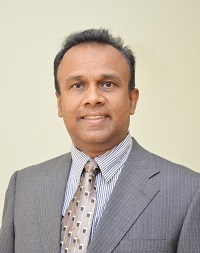 Prior to this, he spent 6 years at Monash University, 8 years at University of Sri Jayewardenepura where he held positions as Senior Lecturer, and 2 years at Kobe University as a postdoctoral fellow. He has broad teaching experience in Corporate Finance, Money and Capital Markets and Investments. Sisira is an active research supervisor and he has supervised a number of PhD and honours students to completion. He has published papers in numerous journals including the Journal of International Financial Markets Institutions and Money, Accounting and Finance, Journal of Asian Economics, Pacific-Basin Finance Journal, and Southeast Asia Research and presented papers in international conferences.